Thanks Benthem Crouwel Architects for authorizing the publication of the project on mooool, Text description provided by Benthem Crouwel Architects. 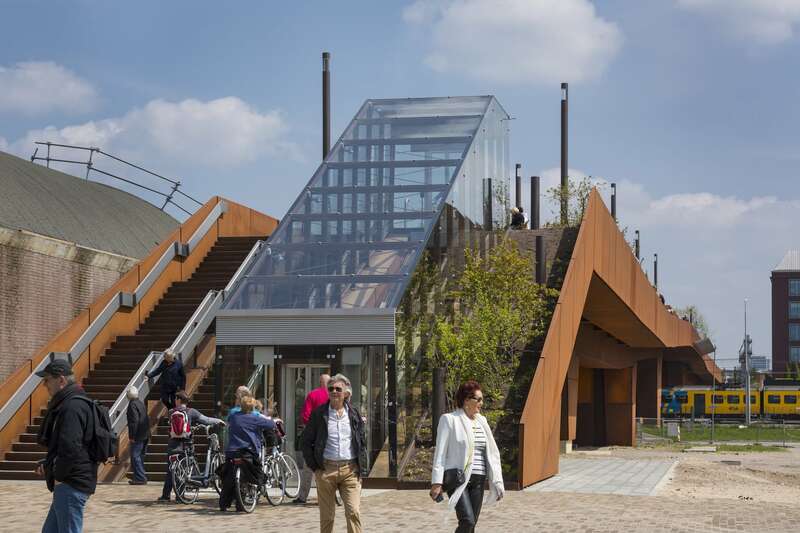 Benthem Crouwel Architects: Paleisbrug (palace bridge) in the Dutch city of ‘s-Hertogenbosch is an elevated park, a pedestrian bridge and bicycle bridge all in one. 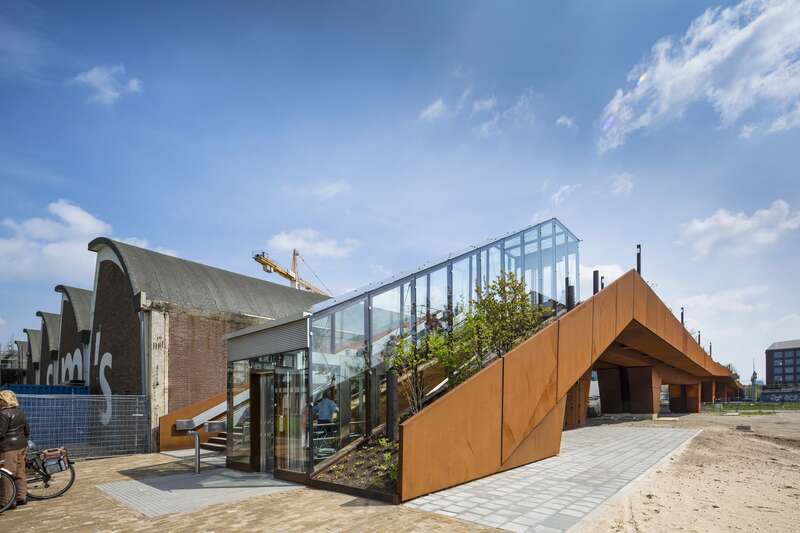 The bridge is designed to connect the old town centre and the new Paleiskwartier district of the city, and offers a magnificent view of the surrounding historic green landscape. 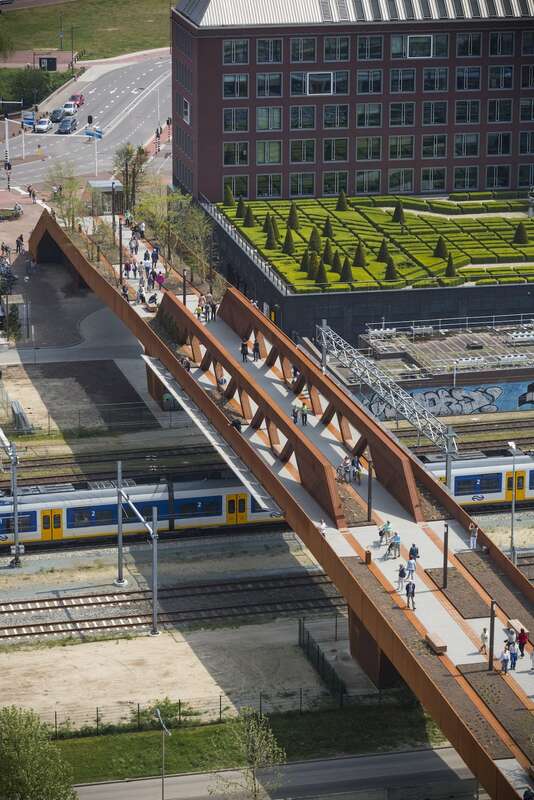 The 250 meter long Paleisbrug offers space for pedestrian and bicycle lanes, plants, trees, benches and lighting, all integrated in folded weathering steel. The plants are illuminated, as well as the benches and paths, which makes the Paleisbrug a very pleasant place to walk and dwell, even at night. Dutch landscape designer Piet Oudolf’s planting scheme divides the bridge in three areas, each with its own character: a savannah-like vegetation is interspersed with high vegetation and trees, while in the middle of the bridge the predominantly low vegetation reflects the grand view. The plants are selected carefully, based on their different flowering periods – this ensures that the vegetation is visually interesting throughout the year. Floor heating provides a temperature of 10 degrees Celsius in the deck and the stairs of the bridge, preventing the bridge from freezing in the winter without the necessity to spread salt, which would affect the steel and the plants. The bridge is also used as a massive solar collector during summer, since the floor heating is connected to an Aquifer Thermal Energy Storage (ATES) that uses the stored heat during winter.